Even after eight years of showing horses, I still get so nervous I could throw up. Pookie loves her horses and we do all we can to encourage her. This was the morning of the show in San Antonio last week and I had just started banding Lillie's mane. After eight years and ten or more halter horses I can say that only two did not like me and Lillie is one of two horses who does NOT like me. I would go as far to say that she hates me. When Pookie is working with her she pins her ears back and get really mad anytime I come close to her. When this picture was taken I had just started and she had knocked me off my stand three times, after I still did not give up, she decided to "High HO Silver." She jumped up on her hind legs and pawed at me with her front legs, TWICE! That did it, I gave up and handed it over to Pookie. Pookie started banding Lillie and she never moved. That horse LOVES Pookie, follows her around like a dog, rubs her head on Pookie's shoulder, stands close to her, lets Pookie do anything she needs or want to her. The minute I walk next to Pookie, Lillie gets so mad. I think she may be protective. Pookie getting Lillie's slinky off and starting to get her show ready. I'll try banding Lillie's mane or shaving her ears, but NO WAY and I getting anywhere close to the back end of Lillie. She would kick me in a second. About to head into the arena to start her classes. One of the classes Pookie and Lillie entered. Once in a while a judge will ask to see the horse's teeth, one of the two judges did and Pookie opened up Lillie's mouth to expose her pearly whites. This particular day Pookie and Lillie won three 3rd place awards (under two judges). You can see how happy Lillie was about it, she tried eating the ribbons. 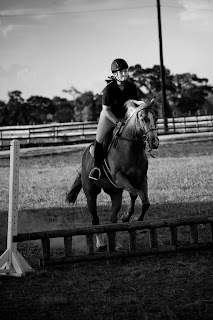 One of the rare photos I have of Pookie and I at a show, I am always behind the camera. For the record, the outfit Pookie wears to show in is NOT my idea, it's all part of the Halter Horse classes for the girls to dress like that. quicker than she put them on. She was headed to the horse trailer to change as fast as she could. A few minutes later, she was back and in her normal clothes but still had all her show make up on, or as we call it, the "toddlers and tiara's look." Pookie hates make up and wants nothing to do with it, until it's time to show her horse then she can't wait to get all the glitz on. Lillie's new halter. Pookie is growing up, she use to want purple or lime green halters. She's all business now and only a leather halter with a brass name plate will do. I have to admit, I LOVE IT!!! Pookie's fun new boots, very girlie and actually surprised me when she picked them out. They are a little flashy for Pookie, but so cute on her. I thought a quick post on a horse show would be interesting to see, especially since we do go to so many. Pookie has many different horses for many different events, classes, etc... She loves to barrel race, halter, working cow horse, trail, western pleasure and of course her new love - all horse things English. 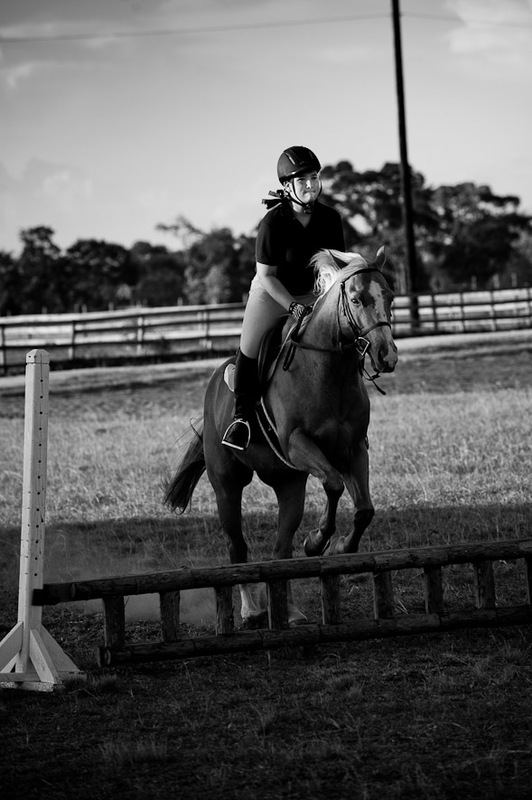 Another picture taken at lessons, shortly after this picture was taken she fell off going into a jump. Besides some scrapes and bruises she was not hurt. Thank goodness. Pookie(at 8 yrs old) and Mable, her first halter horse, not her first horse just first halter horse. Pookie got her first horse "Candy" at three years old and started riding as soon as I got off the phone to book her first lesson. We haven't been able to get her off of a horse since. I loved reading about Rialey and her horses. It's so cool when someone discovers their passion at a young age. And the photos of y'all are gorgeous! Anne, you are always to kind. Thank you.